Get notified when Grand Ole Opry tickets are available! The Grand Ole Opry is one of the most well known country music live shows in the world and is staged every week throughout the year. The first performance was held on November 28, 1925, and over the years many top name acts have performed in the show. 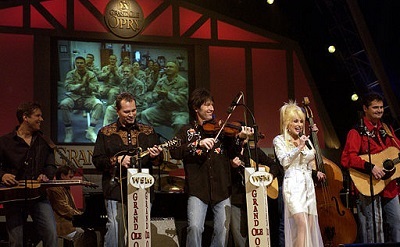 Garth Brooks, Rascal Flatts, Dolly Parton, Hank Williams, Reba McEntire, Blake Shelton and the Dixie Chicks are just some of the performers that have taken to the stage as a part of the Grand Ole Opry. To be in the audience for a Grand Ole Opry show, you need to head to the Grand Ole Opry House or the Ryman Auditorium, both of which are located in Nashville, Tennessee, and you’ll of course need to get some Grand Ole Opry tickets!